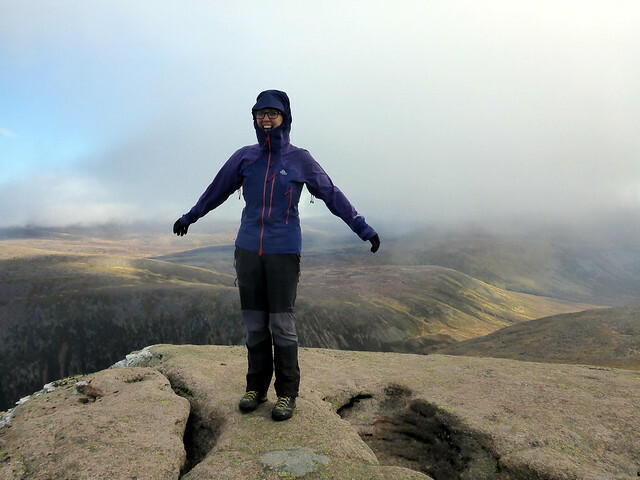 Following the weather again this weekend- forecast was best in the East so I took the opportunity to get one more of Allison's Munro Tops in the Cairngorms done - the awkwardly placed Stacan Dubha on Beinn Mheadhoin - a long walk in from anywhere. 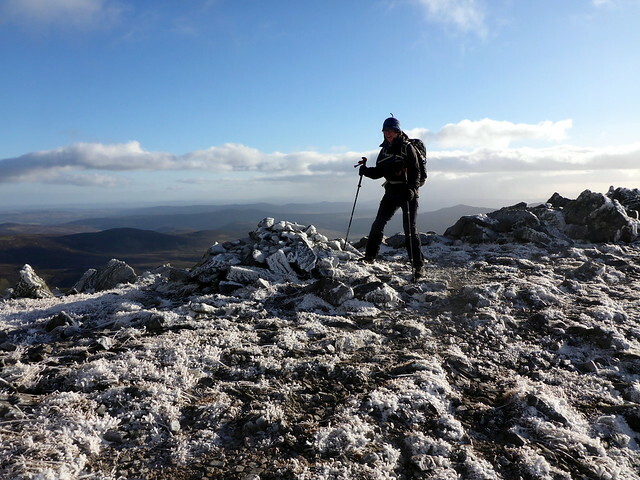 Some Marilyns in the Cairngorm area would follow on the Saturday and then Airgiod Bheinn on Beinn a'Ghlo on the Sunday. Had hoped to stay amongst the trees in Rothiemurchus but that site closes for November, so it was a first time visit for us to Glenmore Campsite, a few miles further along the road. Arrived as the sun was setting, around 4.30 to a very cheery reception. No other tents there, some soggy ground but dry near the trees, good showers and quiet at night. 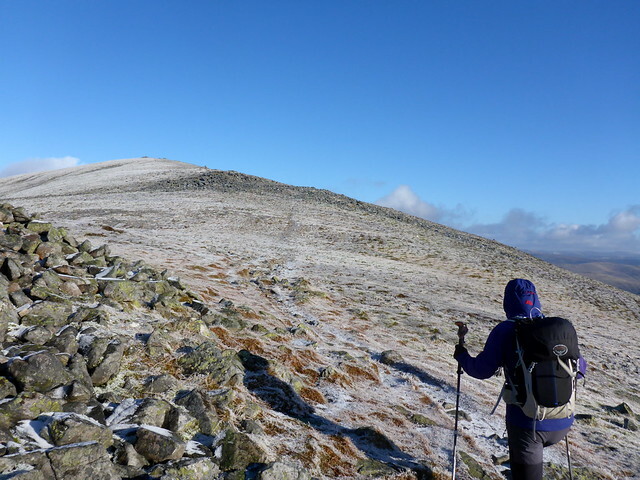 It was 3.5 degrees C when we arrived and a clear sky promised it would get colder overnight. 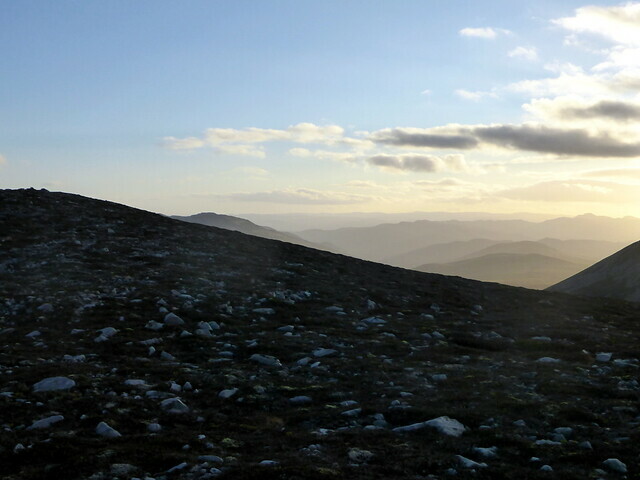 We could see Cairn Gorm from the campsite, including the lights from the Ptarmigan Restuarant which seem to stay on all night. Friday morning was warmer, surprisingly, with the sky overcast. It looked like it might brighten, indeed it did. 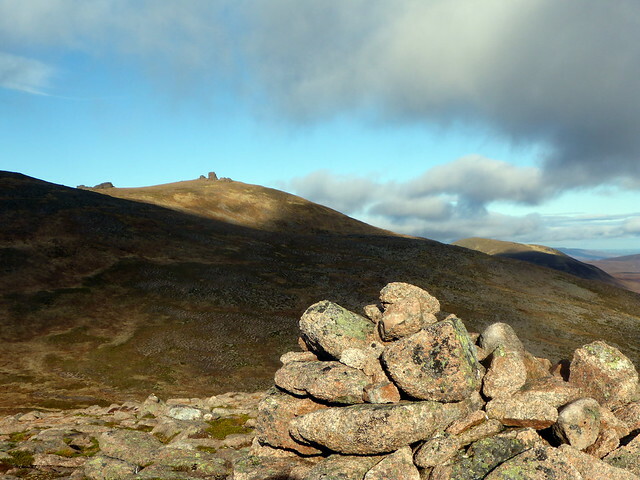 We drove to Base Station and set off up to the 1141m cairn at the top of Choire Chais. 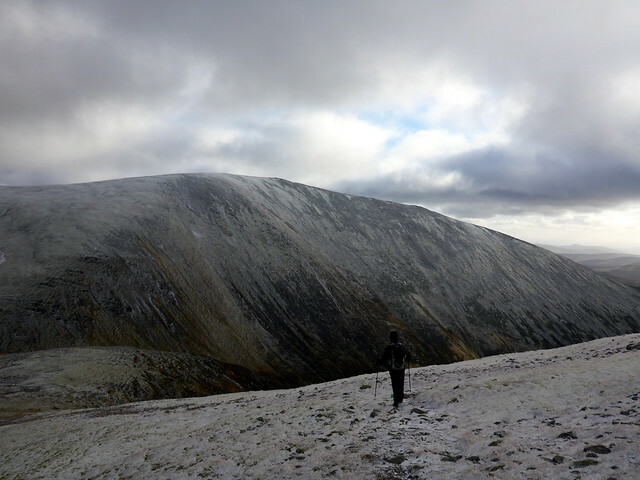 Over to our right the Fiacaill Ridge looked impressive. 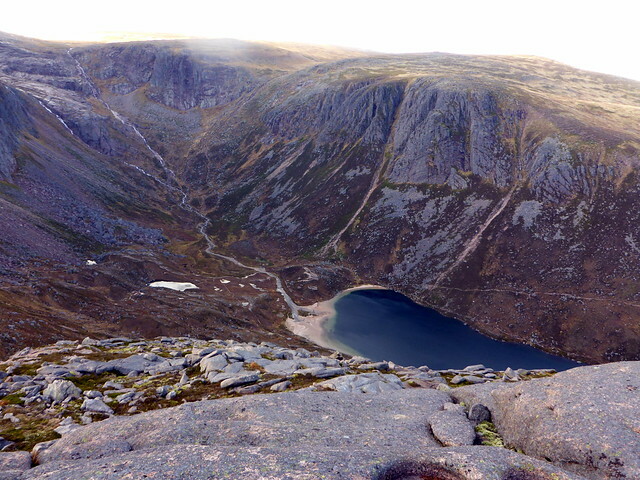 We began heading down into Coire Raibeirt, a section of the Cairngorms I haven't been to before. 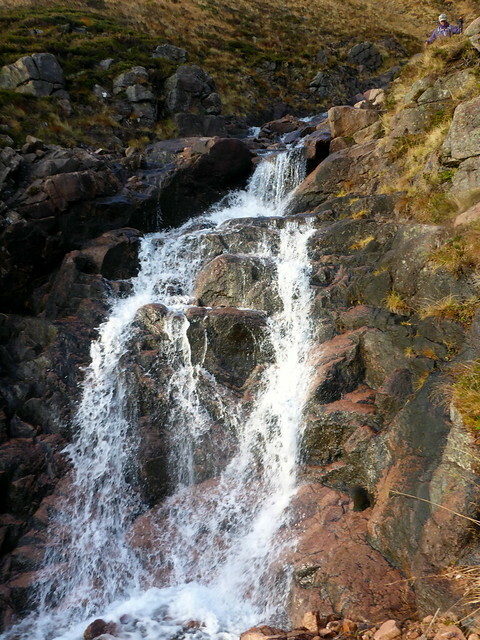 The track descends gently then more steeply alongside the Allt Coire Raibeirt, with some waterfalls. 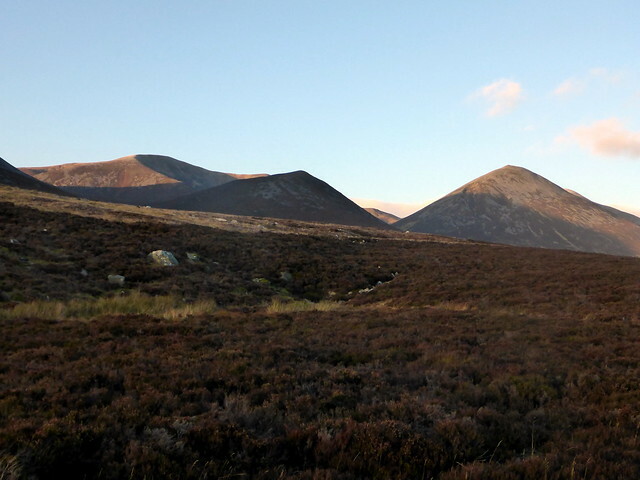 Beinn Mheadhoin is directly in front, with the dark cliffs of Stacan Dubha foremost. 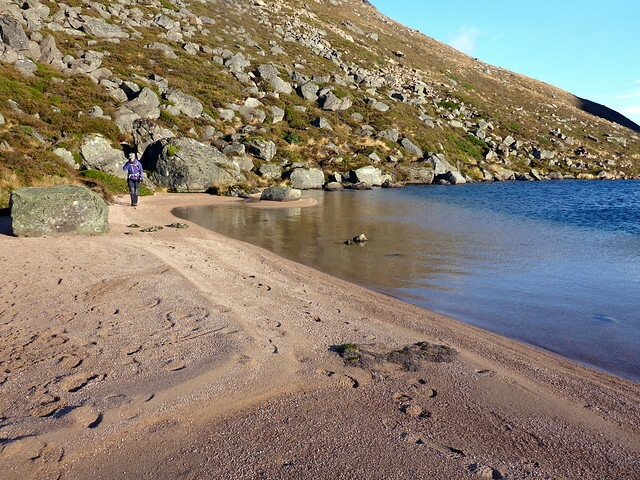 Eventually we reach the shore of Loch A'an and walk towards its western end, where an ellipse of sandy beach lies. 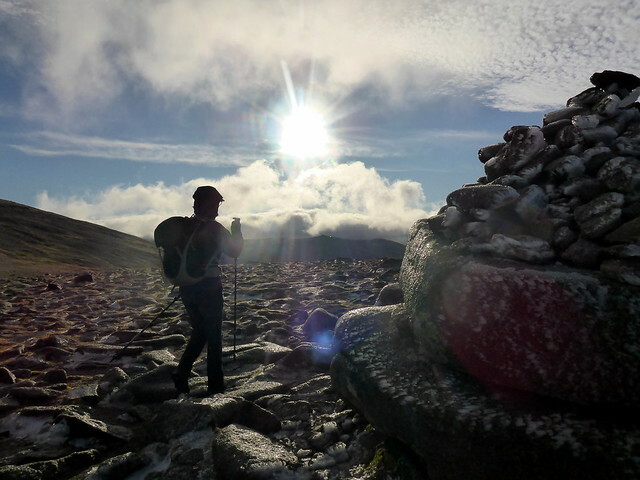 Following the stream we head west around the base of the coire then cross by the Shelter Stone. 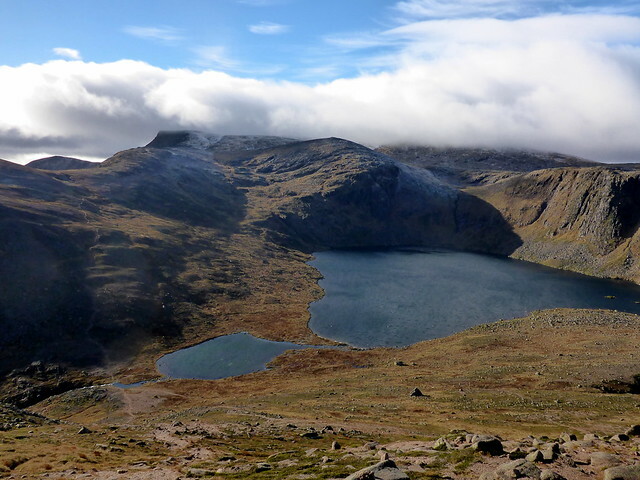 Never having visited this legendary refuge I was keen to have a peek inside - an old mattress, visitor book and even a copy of "The Shelter Stone" magazine. 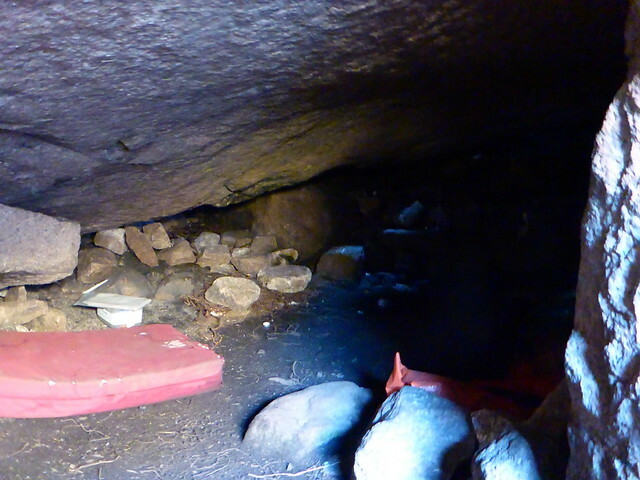 I was also surprised by just how many other, smaller refuges were located under the boulders in the vicinity. 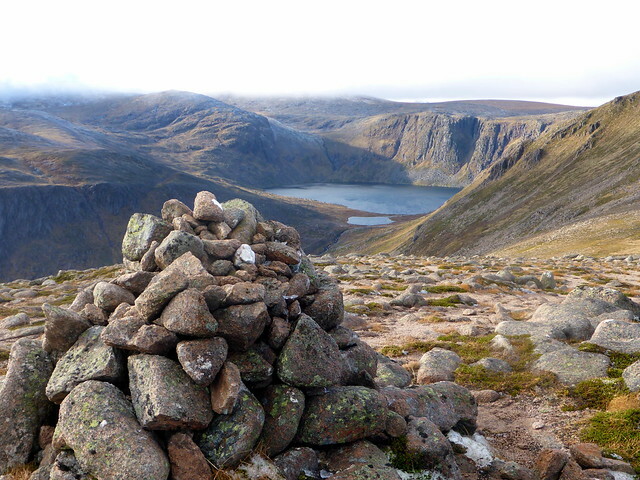 We started to climb again, up the track towards Loch Etchachan. 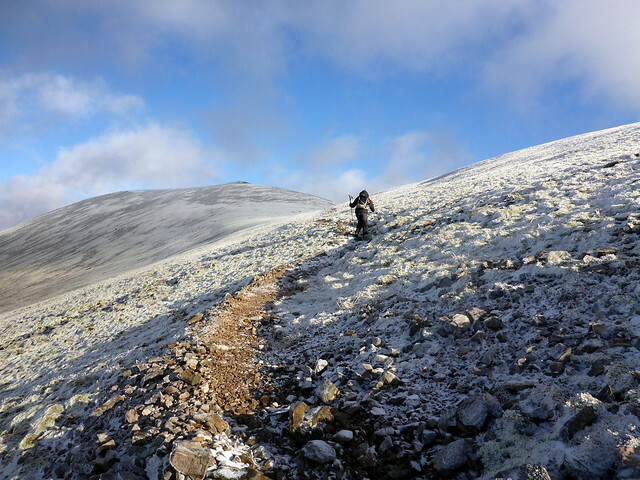 A runner wsa making his way up the slopes of Beinn Mheadhoin - we followed suit, not really finding a path til nearer the top of the slope. 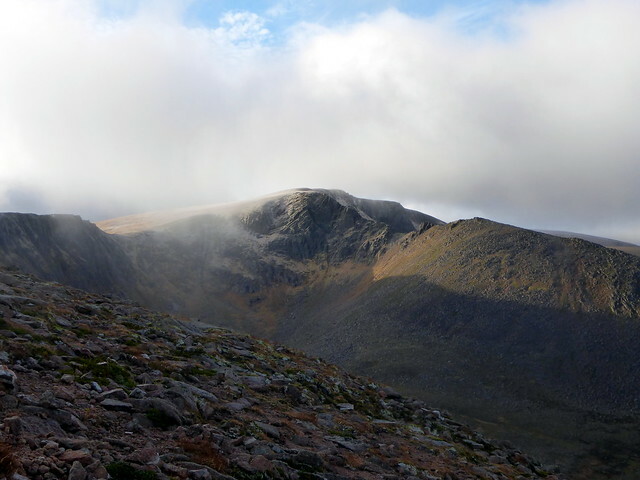 Then it was down again to Stob Coire Etchachan - I must say a gentler way to approach this Top than the direct ascent from Coire Etchachan that we undertook (with big packs) first time round. We paused for lunch , enjoying the views and the solitude. 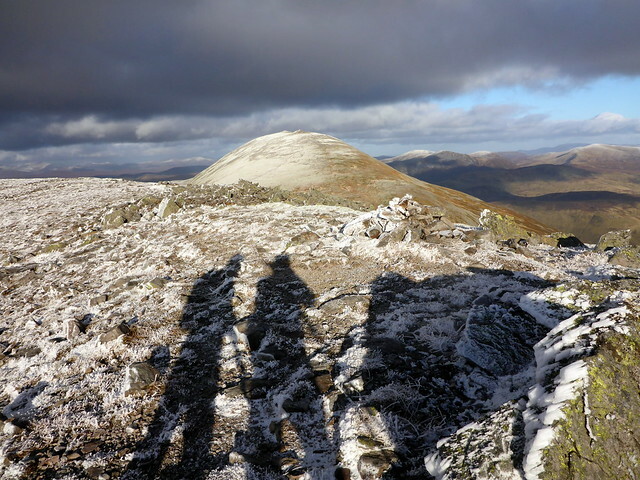 Then on again towards the tors that crown Mheadhoin. 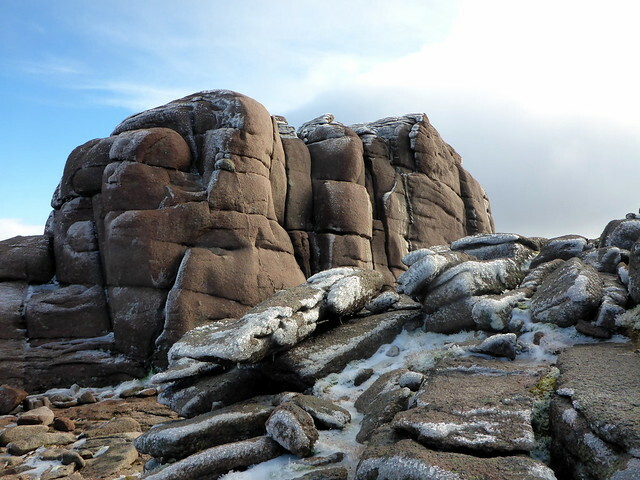 Arriving at the summit tor I was dismayed to find it encased in ice - luckily the southern side which gives access to the top had undergone melting by the sun, otherwise we might have failed to manage to summit Moments after we stood on the top a band of clag came in, cloaking all views and dropping the temperature considerably. 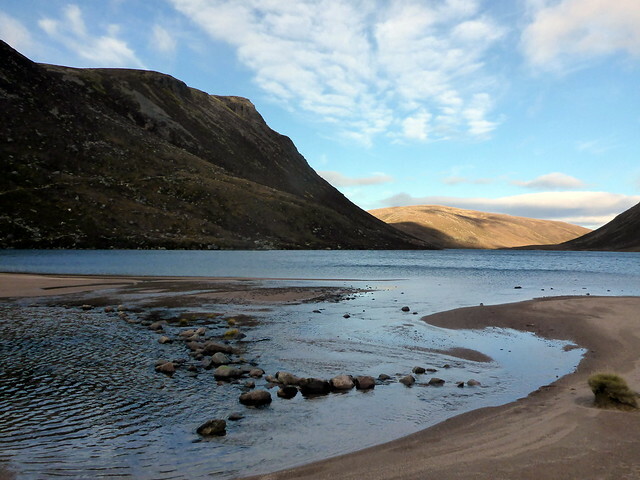 Sun re-emerged after a few minutes and we were able to continue our journey to Stacan Dubha enjoying grand views of Loch A'an. 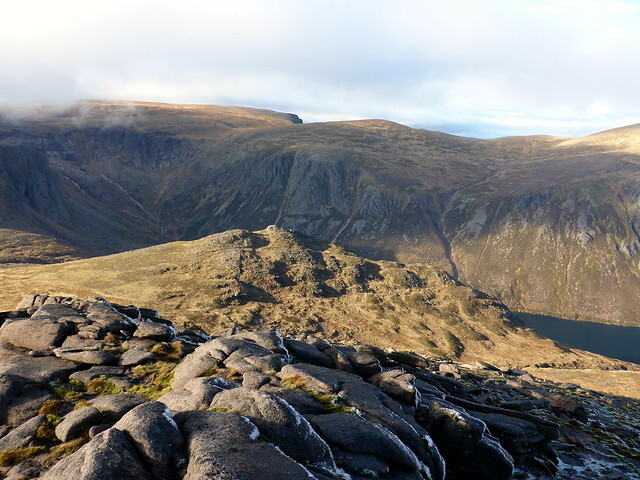 Descent from Stacan Dubha was gentle and not too soggy - we just cut across the mouth of the stream, where there are stepping stones, rather than follow our outward path round the coire. 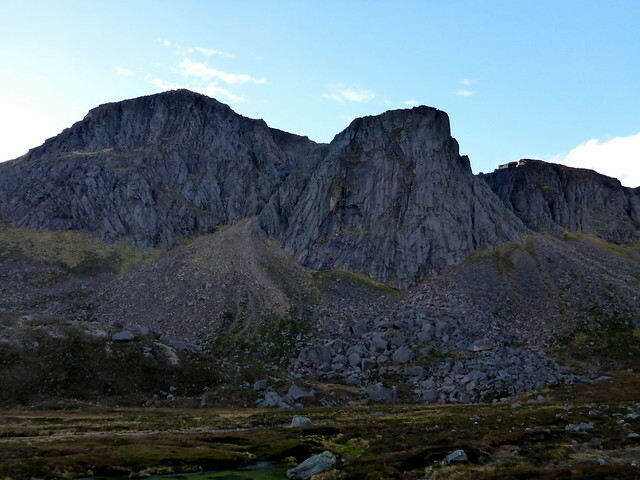 Then it was up again, back to Coire Raibeirt. 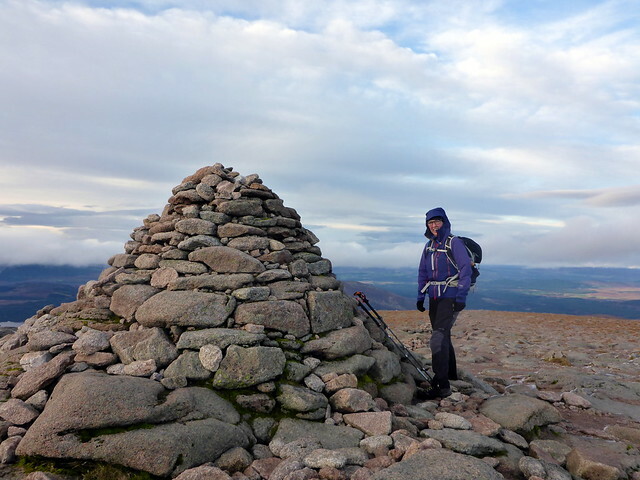 As we got near the top i suggested we nip up to the summit of Cairn Gorm - well it seemed a shame not to when we were so near (not that I have my eye on the end-of-year stats on hill-bagging.co.uk at all back to the tent before the daylight failed it was time for a shower then food. 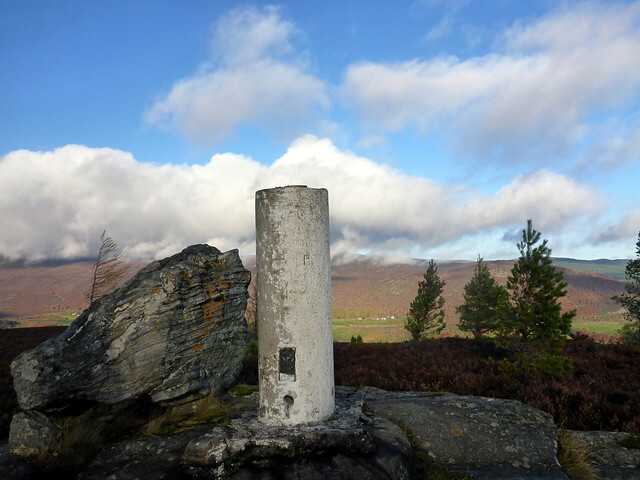 For Saturday's menu I had decided we'd stick with Marilyns, starting with a very short walk up Ord Ban, just a little way along the Glen Feshie road. 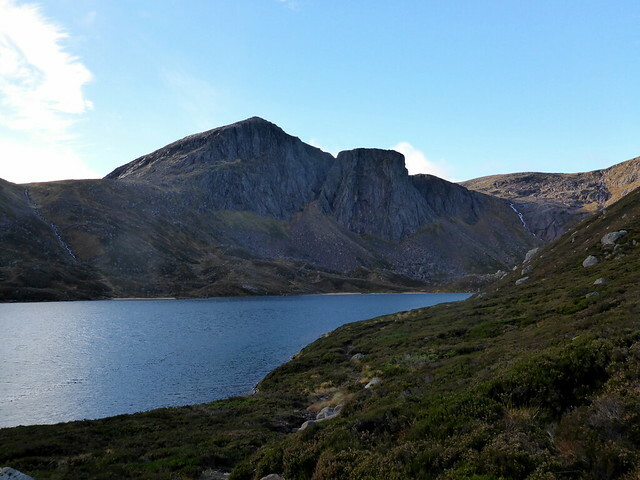 A fine morning, blue skies and not too cold, we arrived at the car park at Loch an Eilein to discover a manned booth - that'll be £1.50 per person, thanks. I didn't quite work out if you needed to pay something if you didn't arrive in a car and wanted to walk up the hill. 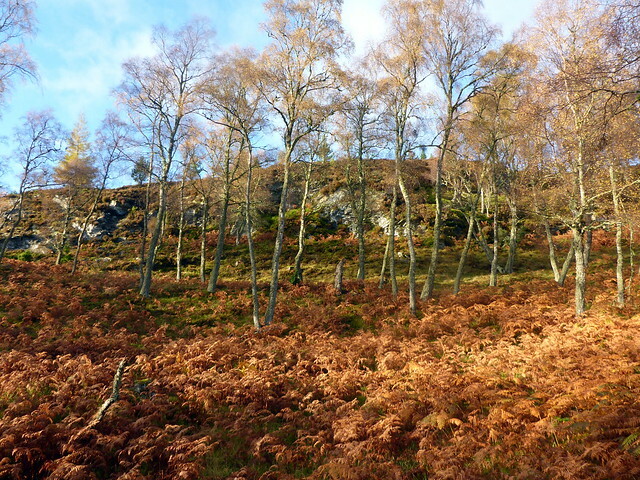 Anyway we set off through the trees for what must be the shortest hillwalk I can remember. 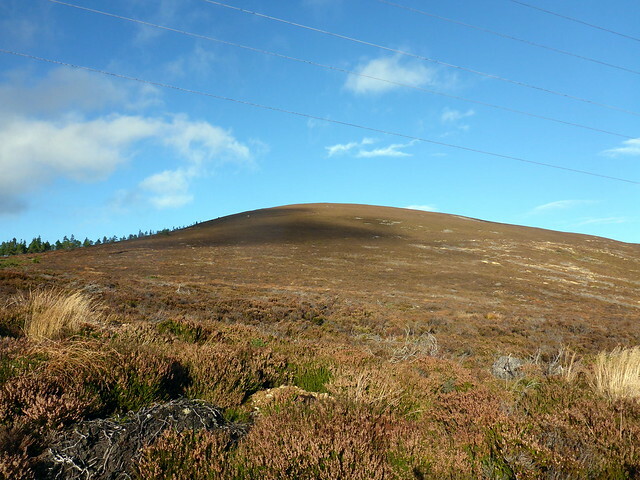 There is a path that zigzags upward before the heather clad summit is reached. 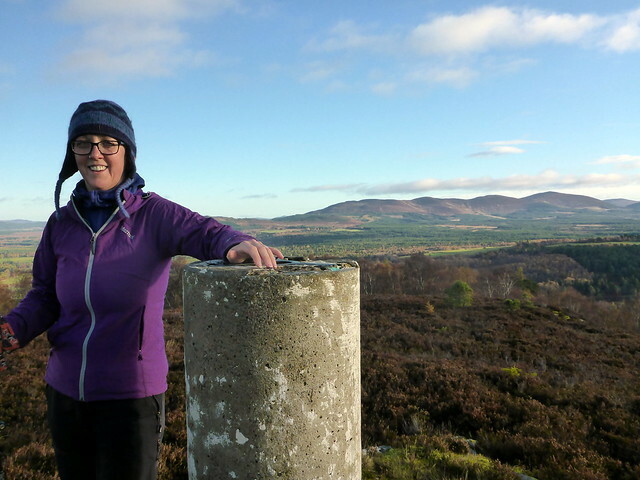 And a trig point for Allison. 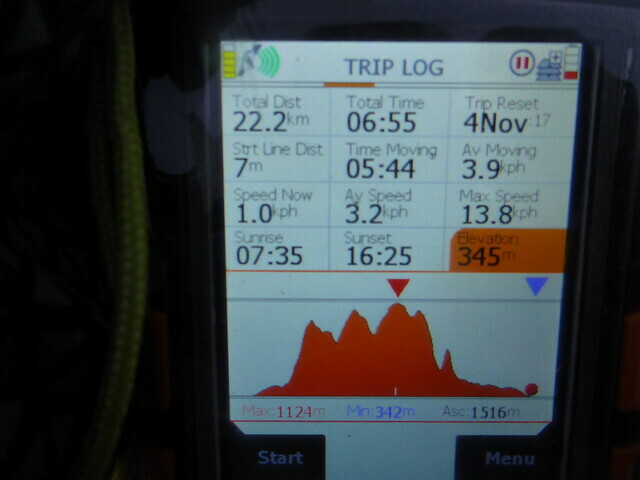 A fine day, although windy. 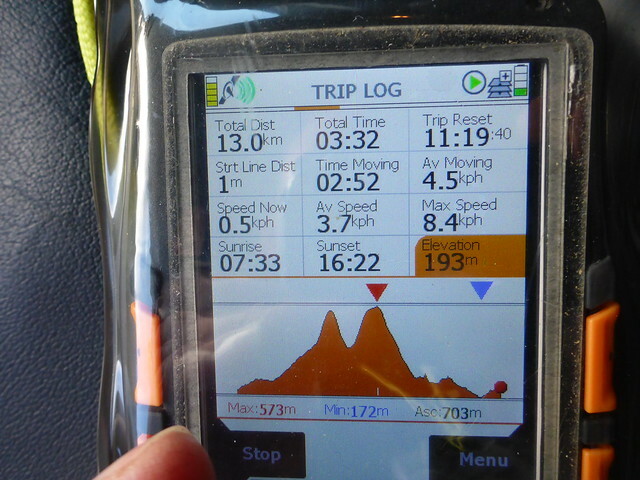 We headed down the same way and were back at the car in an hour. 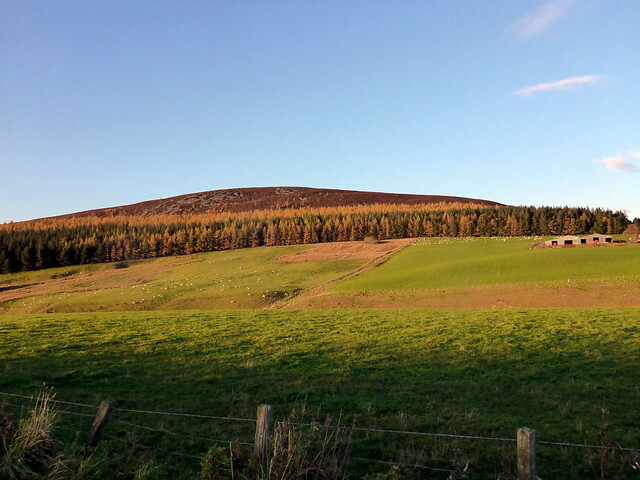 My next course was a pair of Marilyns - the Convals - out by Dufftown, which I'm guessing must be Homer Simpson's favourite town I had rather underestimated the distance - over 40 miles each way - but it was a pleasant drive through autumnal woods. 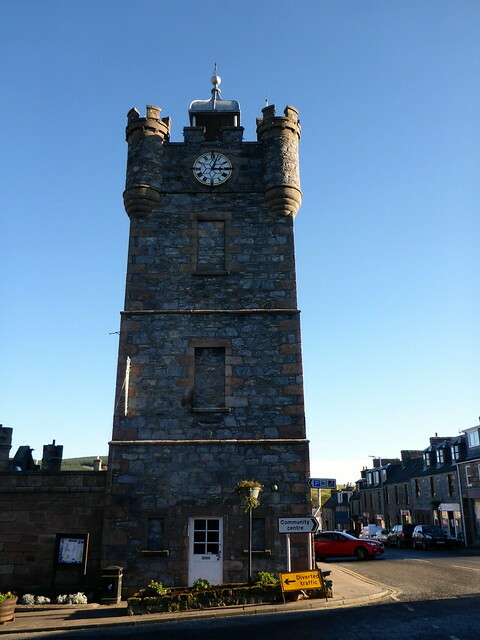 The places we passed read like the top shelf of a whisky bar: Knockando, Cardhu, Aberlour, Benrinnes, Glenfarclas, Balvenie, Craigellachie and of course the large Glenfiddich distillery as you drive into Dufftown. 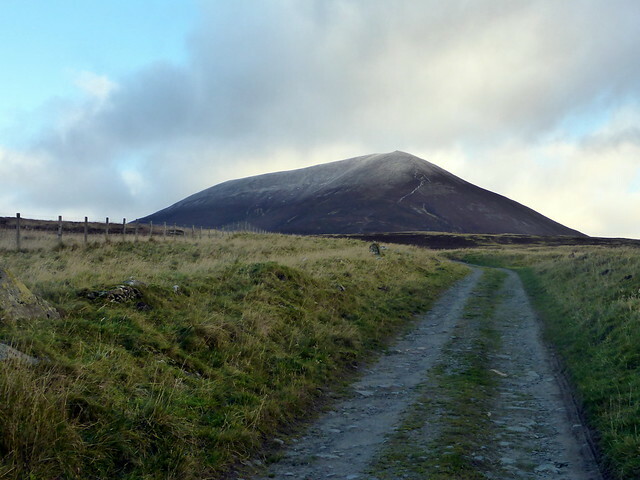 We parked on the main street and - feeling a little selfconscious in hillwalking gear going by the shops - set off for the Convals. 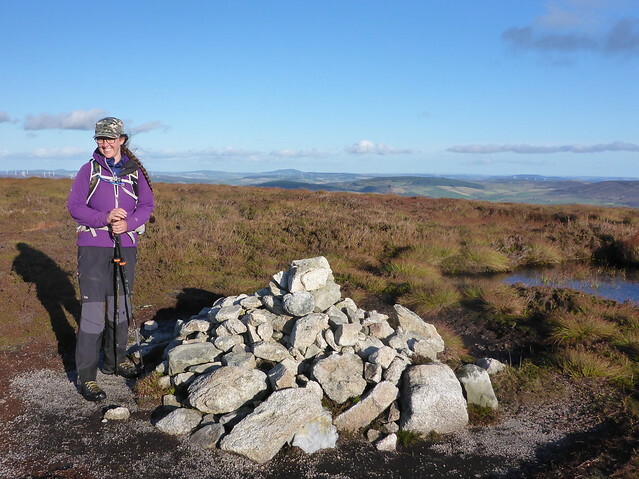 The route was taken from Walkhighlands - we followed the Tomintoul road (Conval Street, aptly enough) out of town and onto the Glenrinnes Way which is a footpath beside the road. After the golf course clubhouse, a track leads off to the right, with the Convals ahead. We paused for lunch under the boughs of an old pine, enjoying the sunshine. Then off to Little Conval first - a walk up through short heather following ATV tracks. 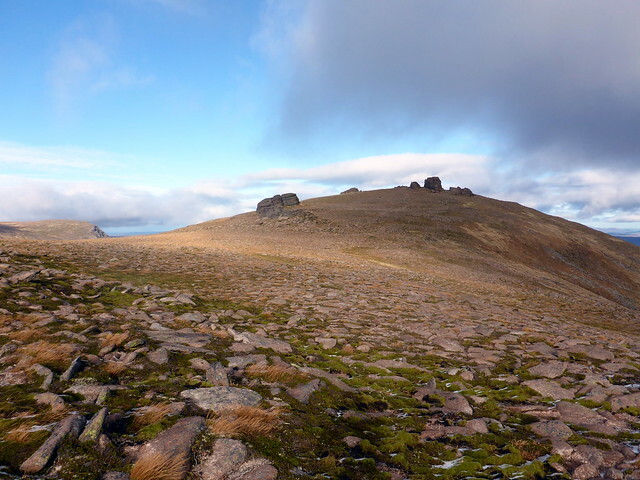 Ben Rinnes dominates the views from here, its knobbly top instantly recognizable. We could also see a number of solitary hills, many of which are Marilyns - i can see that more time in Whisky Country will be required. 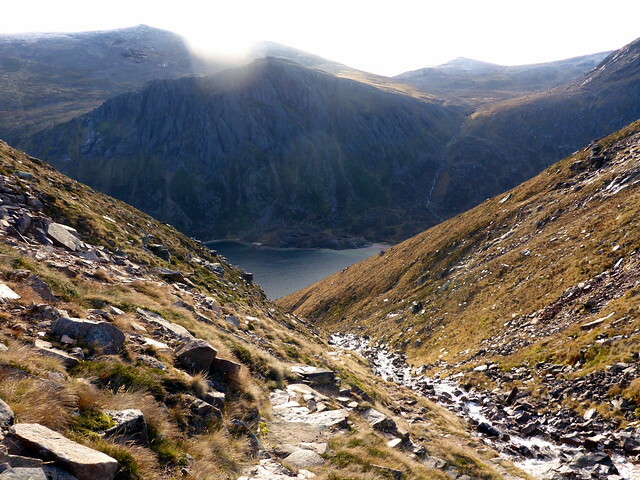 Descent then up the larger Conval, boggier underfoot. 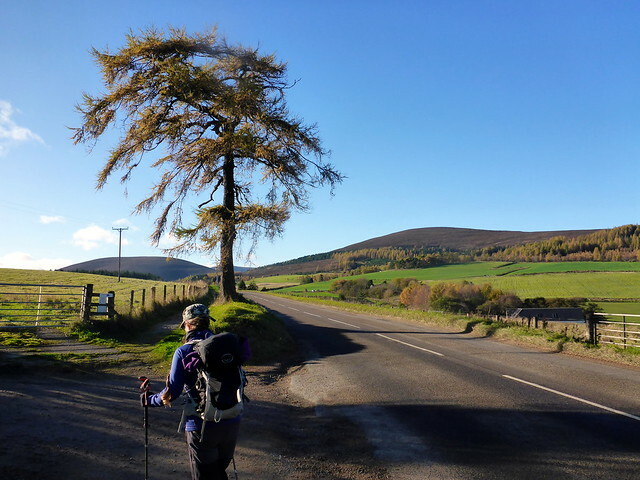 On the way back there's a longish section along the main road (the Glen Rinnes way seeming to have disappeared) then we followed the route by Benrinnes Lodge and through some pretty woods and passing some enormous Charolais cattle (in a field we luckily didn't have to cross). 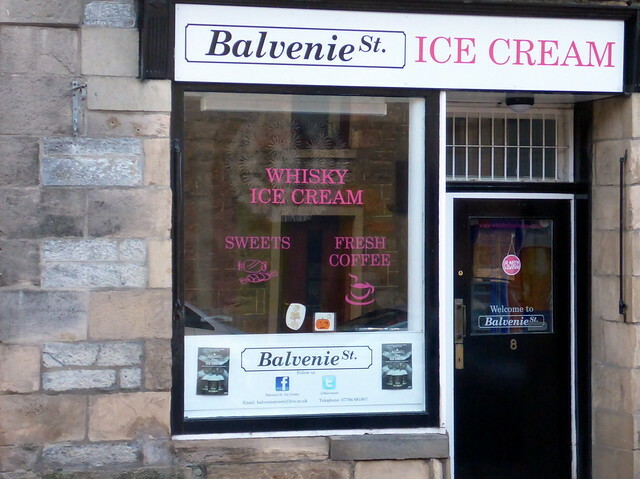 Back in Dufftown everything was whisky - even the ice cream shop. 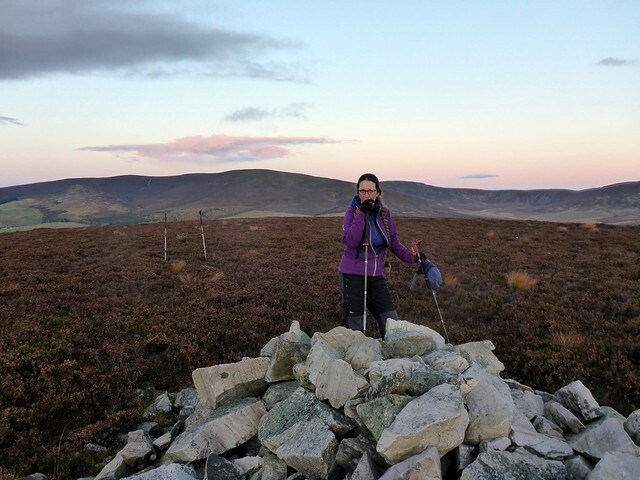 I suggested to Allison that she shouldn't get out of her walking boots yet when we got back to the car - I quite fancied including The Bochel on the way home. She fixed me with a look that would have sunk the Bismarck. 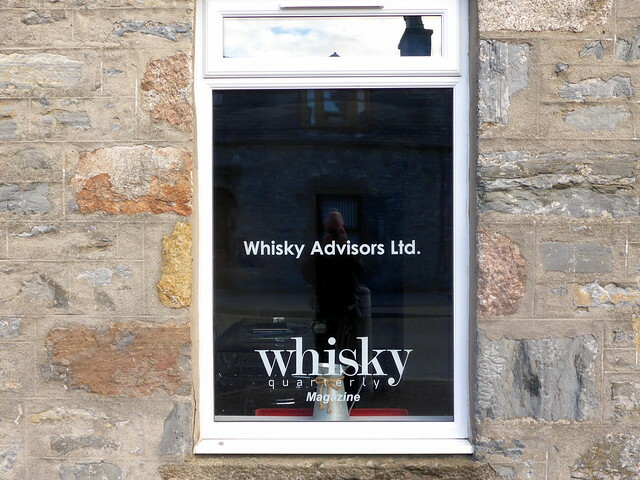 Undeterred, I drove back via Tomintoul. 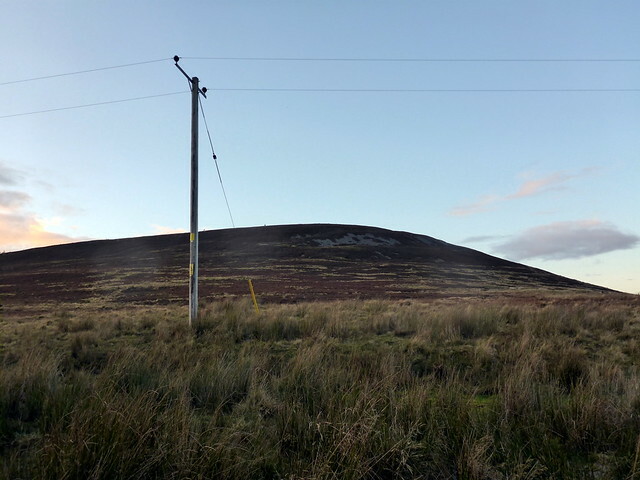 We missed the wee road to Tombae that most walkers seem to start from - I noted that it could also be approached from Bochel Farm, so rather than turn round we drove there. Parking in a layby near the farm we walked swiftly up the farm track, the inevitable muck underfoot. 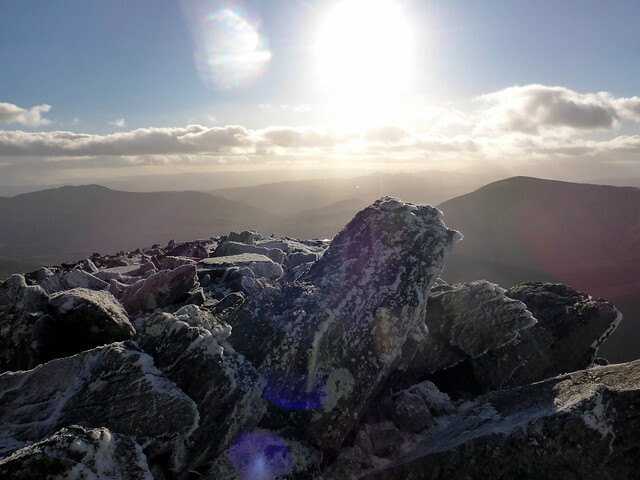 I reckoned we would be up and down before the light failed, which we were. 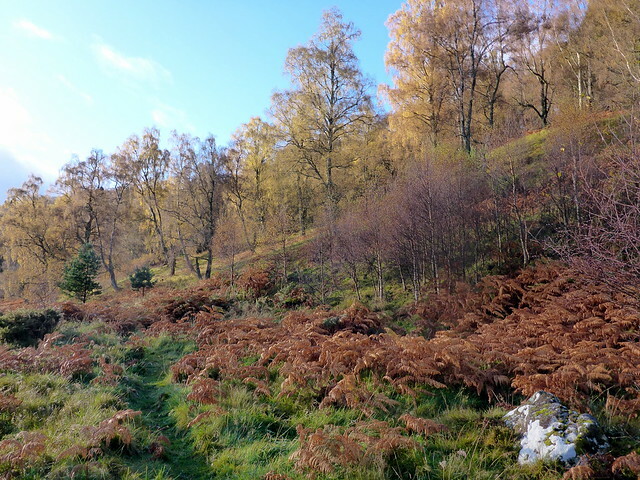 Along track through the woods, then alongside the forest plantation before starting up the hillside on deer tracks through the heather. 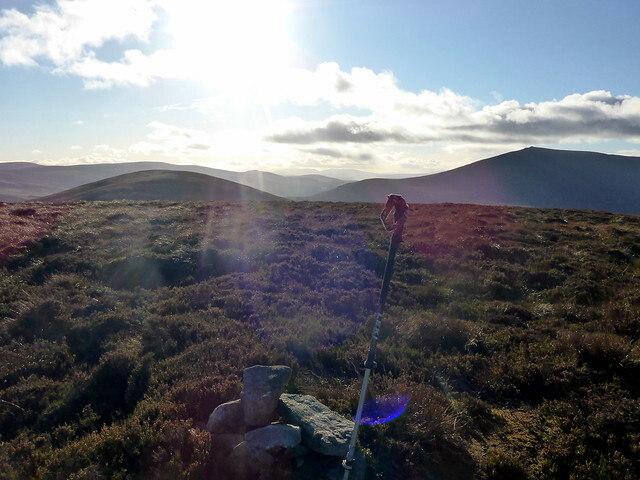 As we reached the top of the hill we found a fairly well trodden path coming from the other side. 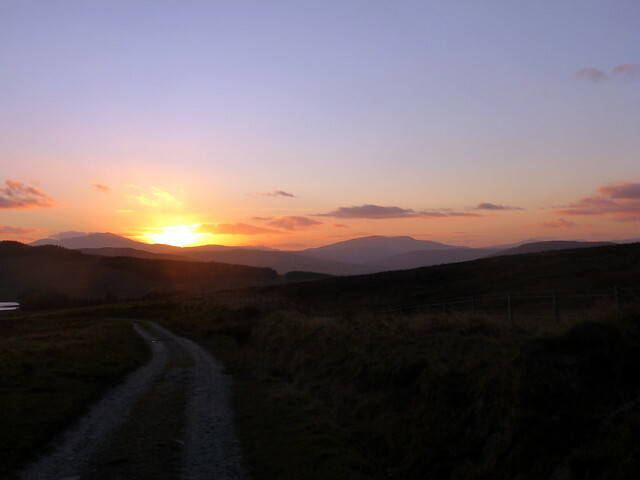 Down the way we'd come up, a drive in the dark through twisting back roads to Coylumbridge. 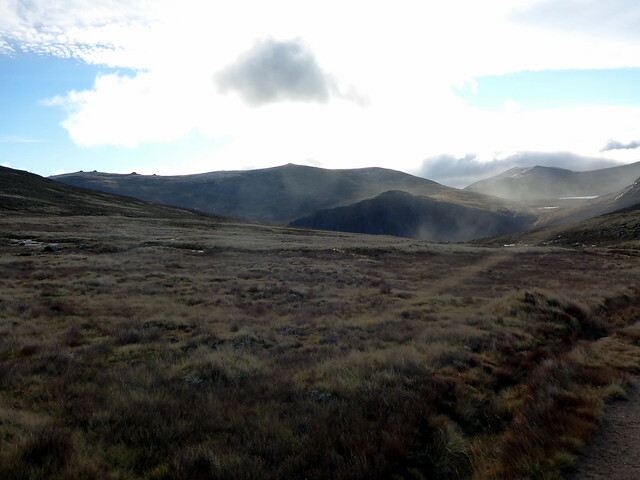 Quite a lot of rain overnight, which had fallen as snow on the hills. 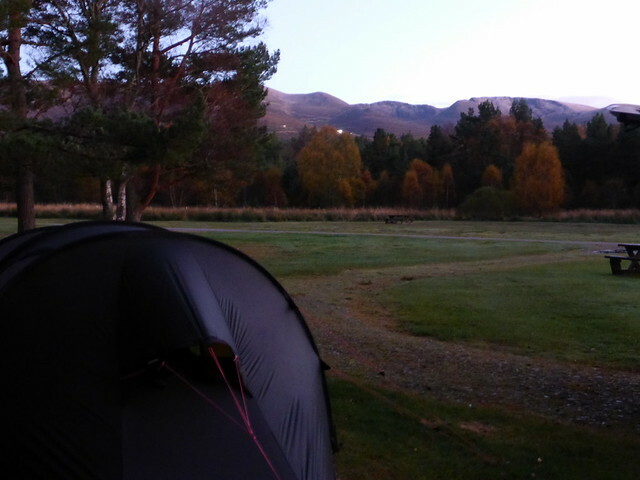 A wet tent to pack up, we left just after 8am for the drive down to Blair Atholl. 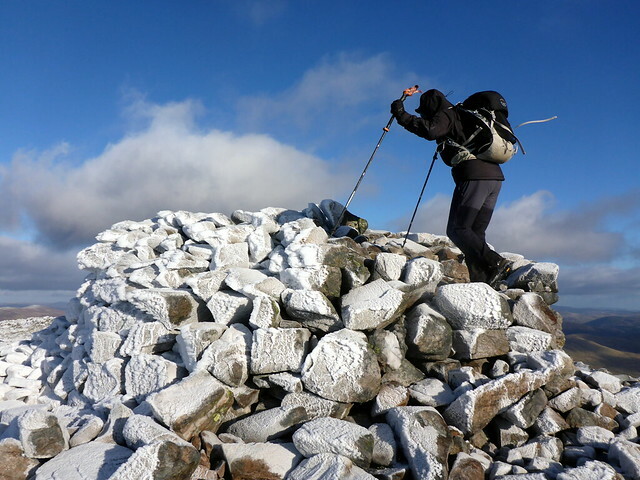 There was a considerable amount of white on the hills near Dalwhinnie to low levels, though it looked only a dusting - I had the ice axes in the car just in case. Arriving at Loch Moraig just before 9.30 we were surprised to see almost a dozen cars there before us. 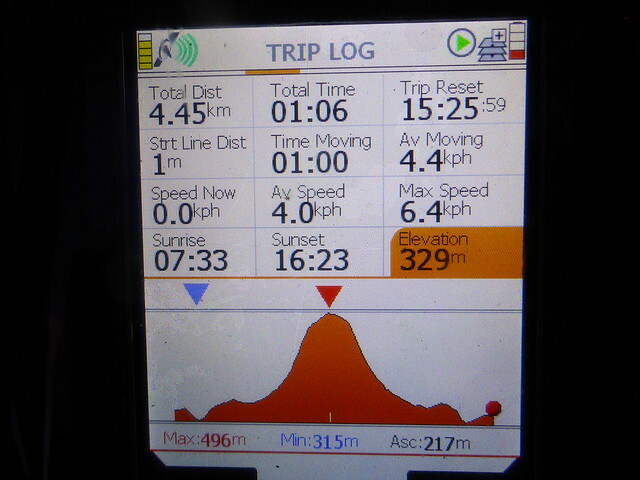 Busy hills today. The weather was a little overcast and very cold, with a chill wind. 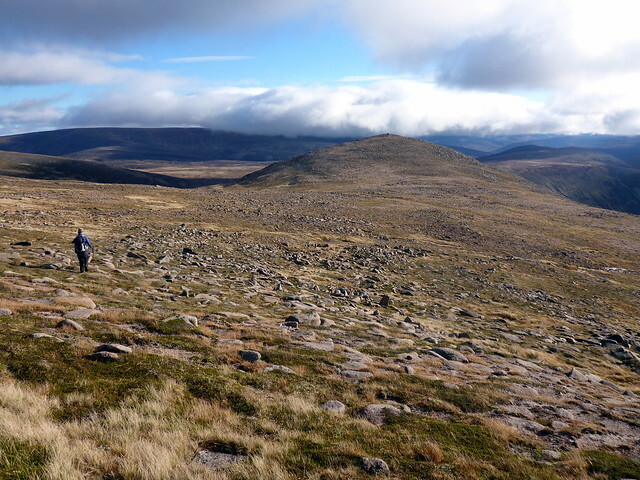 We set off for Carn Liath, noting the pathwork that's in progress up the prow of the hill, lots of helibags of rocks still awaiting use. 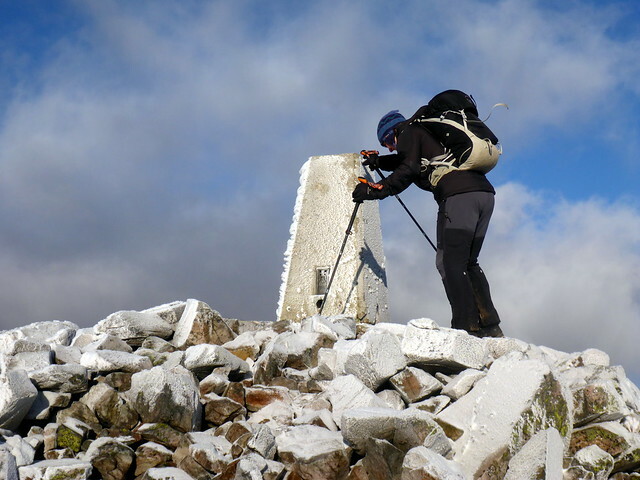 The wind was considerable as we climbed and near the top I had to stop and pull on another layer along with my warmest gloves. 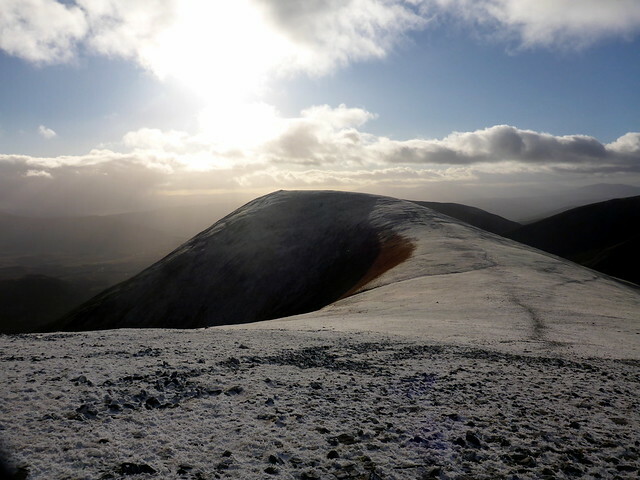 Frost, rather than snow, covered the surface of the hill and coated the sinuous path over to Braigh Coire Chruinn-Bhalgain. Error rectified we continued along the back of the hill towards Airgiod Bheinn, its rocky top and bouldery path beyond. 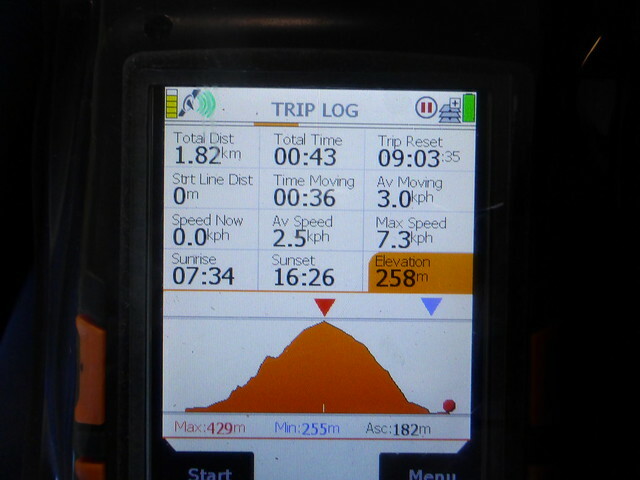 Quite a steep descent, i remembered this from last time i'd been here, then down to the Allt na Beinne Bige. 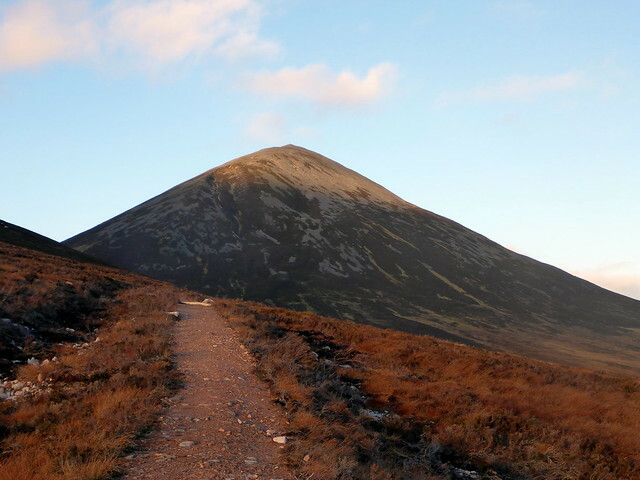 Across the stream sits Beinn Bheag, a steep, shapely Simm I've looked at on previous visits and sworn i'd climb one day. 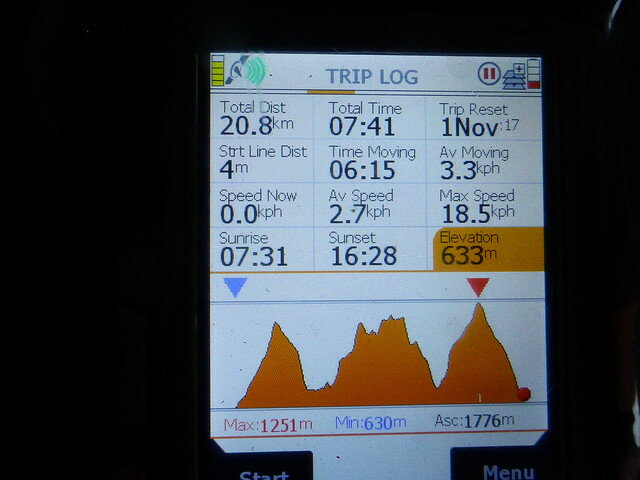 Well that was today! 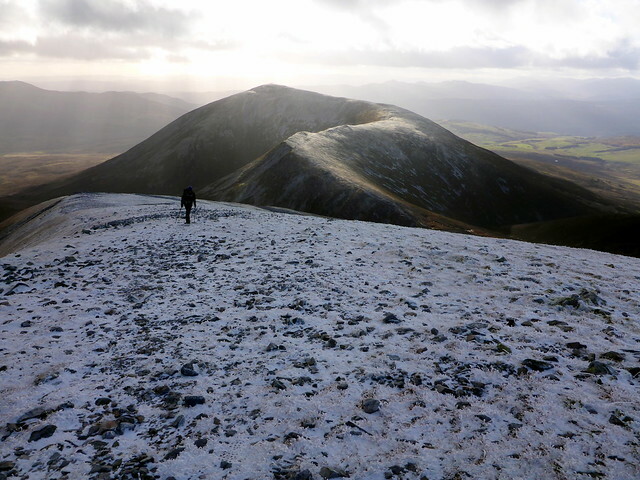 Allison continued on the (new and very welcome) track whilst i nipped up the front of this hill - fine views west to the Alder/ Dalwhinnie hills. Rejoining the path, i jogged along til I'd caught up with Allison. it's easy to forget the walk-out is quite a long one from here- we were back at the car as the sun sank but there were still a handful of cars at the parking space, whose occupants would be walking back in the dark. 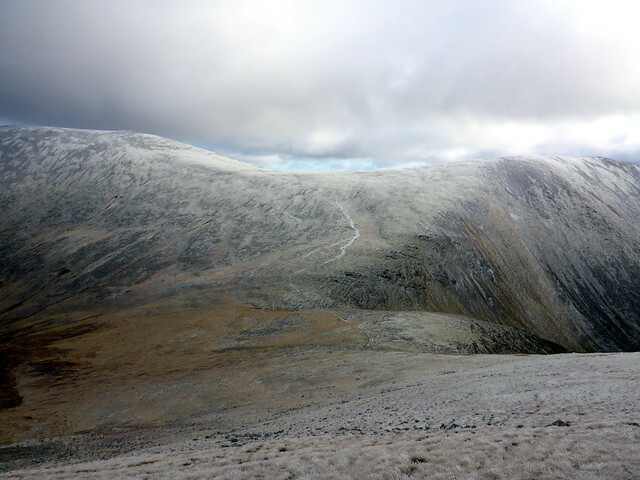 A good - if cold- day out on these hills. Jaxter wrote: Onion Bhaji sandwiches?! 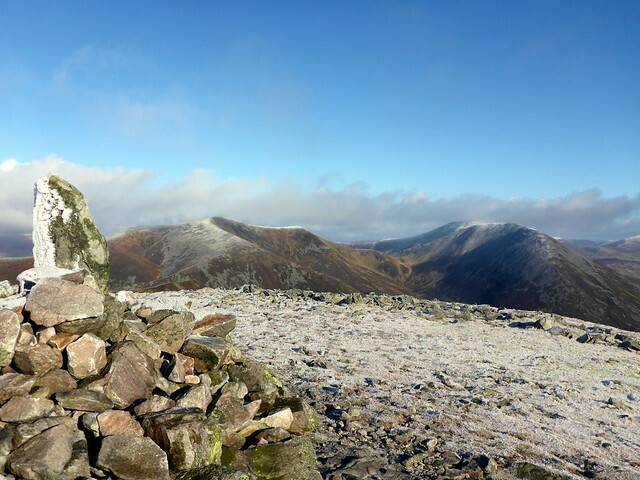 Enjoyed very much reading your post on Beinn a 'Ghlo as we climbed it in early October and had a brilliant hill day. Your photos reminded me of the amazing views of the route ahead, then as you make your way along, looking back at the route from a different perspective. 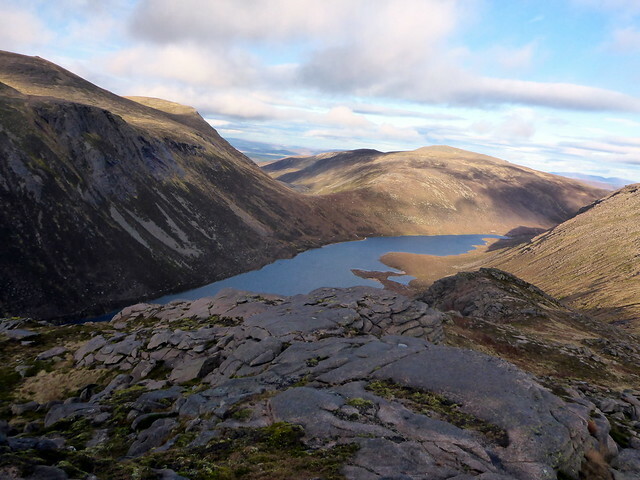 I still find it hard to believe that some people find this part of Scotland a bit boring.......due to the apparent lack of pointy hills. 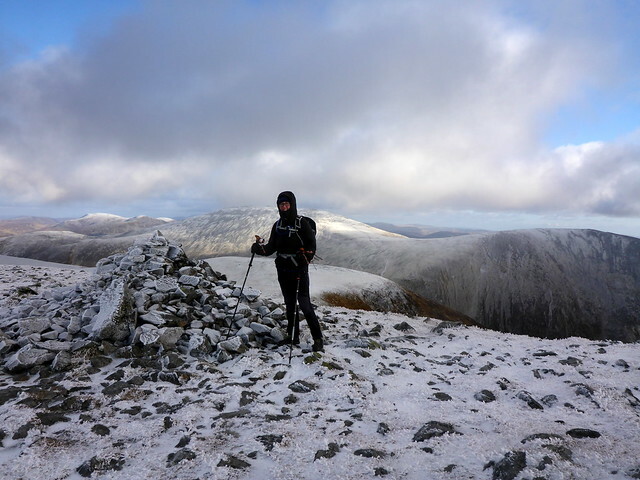 Your first trip looked superb, the sub 2000s are all on my to-list and Beinn a'Ghlo looked fantastic.